What better device to use than a smartphone that fits the palm of your hand and something you can conveniently take with you wherever you go since you can simply slide it in your pocket and you are good to go. There are even people who would rather go back home to get a smartphone they left behind than continue to their destination. They feel empty without it and the presence of these smart devices has essentially wiped out the word “boredom” in most people’s vocabulary. Seeing how many people are so into their devices right now, one can easily conclude that this habit has already become an obsession and may be bad for one’s health and well-being. Hot on the heels of “smart email”, grumbled about in this column recently, comes “digital wellness”, the umbrella term for trying to fix our addiction to technology – and its grim effects on our health, productivity and politics – by means of that technology itself. One hugely popular app, Forest, displays a tree on your phone when you put it down, which then gradually begins to grow, only to die if you pick it back up. Android phones have Wind Down, which causes the screen to fade slowly to black and white as bedtime approaches; then, last month, Apple announced features designed to help you monitor, and limit, the time you spend staring open-mouthed into its range of glass rectangles. Using fire to fight fire in this fashion is an appealing thought. And given the endless data these firms collect about how we use their products, nobody could be better placed to help us use them more healthily, if they chose to. It is about time we start becoming conscious about our habits involving technology because it has a big impact to our health. You may not see it yet now but soon enough you’ll start having eye problems because of overexposure to harmful blue light emitted by the screen. A major issue here is the addiction to these smart devices that people can’t seem to put their smartphones down and have an incessant need to check on it 24/7. This is especially worrisome for the young ones who are already hooked to tablets and smartphones despite their young age. Their busy parents just hand them these contraptions so they can entertain themselves while they are busy juggling multiple tasks of their own they no longer have time to talk and bond with their own children. Changing these habits is easier said than done though, since we’ve become a population of addictive phone checkers. A recent study by Asurion found that Americans look at their smartphones 80 times each day on average, or every 12 minutes. 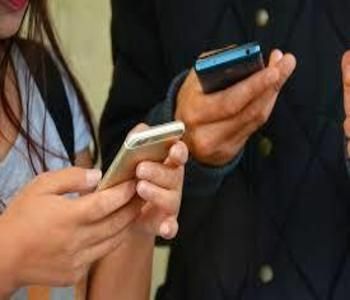 Some are even more dependent on their devices, with one in 10 people admitting difficulty going longer than four minutes without checking their phone. Another study found that younger users put even these numbers to shame, with millennials checking their devices 150 times a day. If you’re nodding your head in recognition, then it’s time to learn strategies to break your smartphone habits to improve your focus. Whether your guilty pleasure is frequently glancing at texts, tweets, email or social alerts, this repetitive behavior can quickly morph into a near obsession, destroying your chances at optimum productivity toward your more important career goals. It may take a lot of discipline and self-restraint to break away from this modern addiction. However, you must do it for the sake of your health and your own productivity. Your career and future are also on the line alongside your health and well-being. An employee’s productivity right now has decreased because their eyes are glued on their smartphone screen as often as they can. They are distracted and lost in their thoughts. They can’t concentrate at work because of social media and many other apps they have installed on their smartphones. If there is one bright side to your use of smart gadgets is the fact you no longer have to deal with costly and stressful tech issues like hard drive problems. But if you do encounter it because chances are you also have your own personal computer or laptop aside from your smart device and experience problems like https://www.harddriverecovery.org/raid-pricing.html, you can always count https://www.harddriverecovery.org/pricing.html to save the day without putting a strain on your finances.